A4NH is pleased to share the following announcement for a relevant e-conference, Innovation systems for food security and nutrition: understanding the capacities needed, hosted by the Food and Agriculture Organization of the United Nations (FAO) from April 18- May 13 2016. The United States and Brazil agreed in June 2015 to "...jointly promote the implementation of the Post-2015 Development Agenda Sustainable Development Goal on food security, nutrition, and sustainable agriculture by working bilaterally and through the United Nations". In the framework of this initiative, the Tropical Agriculture Platform (a G20 initiative facilitated by FAO) organizes a joint conference aimed at bringing together the issues of capacity development, agricultural innovation, and food security and nutrition with the objective of developing recommendations for policy-making. A paper providing background information and introducing the topics of the conference is available here. 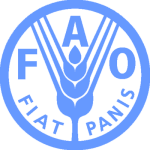 Which policies or instruments would be effective for developing capacities of food security and nutrition-sensitive Agricultural Innovation Systems (FSN-AIS) at the organizational and systems levels? The concept "institution" comprises a number of formal and informal "rules of the game", including relationships between organizations, regulations and behaviours. Which are the most essential institutions that should be strengthened to foster innovation in FSN-Agricultural Innovation Systems and why? Till recently nutrition problems in low and middle income countries were characterised mainly by undernutrition and micronutrient deficiencies. An additional form of malnutrition is now present in the same communities: obesity. How can the framework for capacity development for FSN-Agricultural Innovation Systems be adapted to address the more complex nature of food security and nutrition issues? For more information on how to participate, please contact Cristina Sette (cristina.sette@fao.org), the conference moderator. For more information, please refer to the background paper online.